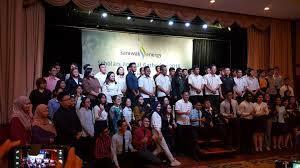 Sarawak Energy is pleased to announce the launch of our 2019 Scholarship programme. We would like to invite eligible and qualified full-time Sarawakian students to apply for this year’s intake. Menara Sarawak Energy, 93050 Kuching, Sarawak. CLOSE DATE : 30 APRIL 2019 | APPLY NOW! !